Tax Code Changes – do they really reflect your current expenses? Our very first blog on the subject of tax code changes, is still as relevant today as it was then. HMRC take it upon themselves to revise your tax code based on the tax return completed from previous years’ information. In our opinion this can lead to so many problems of under or over payments of tax. As you can see from this, to base a tax code on information given regarding a previous year is ultimately going to mean that it is highly likely that there will be the wrong amount of tax paid come year end! As soon as your self assessment tax return is received by HMRC, before the return has been approved or looked at, the tax code changes. As a tax agent we do not get advised that our clients’ code has changed, although a letter is sent to you of the change. If you are a client of ours, we can stop HMRC doing this if you want us to, but we need instruction from you i.e. a phone call 01280 821020, email or a PM. We have always advised clients to have their code returned to the normal code so that under payments do not occur. We can ask on your behalf, if you let us know of the change, but HMRC can be “difficult”, insisting that the right code is in place based on information given. Unfortunately, because initially your pay packet will suddenly increase based on the new code, that is making allowances for expenses you may not incur this year, some clients have accepted the new code, only to find at the end of the year, they owe HMRC money. To be perfectly clear, this money owed is nothing to do with the tax refund we successfully claimed for you the previous year. HMRC are NOT clawing that money back at all! What has happened is the tax code was allowing too little tax to be paid over the course of the following year and your expenses were not as much as previously – hence the difference. Being put back to the normal tax code, at the end of the year we will help you calculate your correct expenses and claim your overpaid tax for you, thereby ensuring that you are not trundling unknowingly towards a debt that is wholly the making of HMRC and it’s ‘cute’ practice. 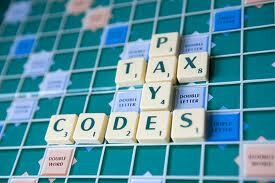 Home » Blog » Tax Code Changes – do they really reflect your current expenses?